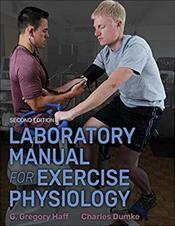 Abstract: Laboratory Manual for Exercise Physiology, Second Edition With Web Study Guide, provides guided opportunities for students to translate their scientific understanding of exercise physiology into practical applications in a variety of settings. Written by experts G. Gregory Haff and Charles Dumke, the text builds upon the success of the first edition with full-color images and the addition of several new interactive lab activities in the web study guide. The revitalized second edition comprises 16 laboratory chapters that offer a total of 50 lab activities. Each laboratory chapter provides a complete lesson, including objectives, definitions of key terms, and background information that sets the stage for learning. Each lab activity supplies step-by-step procedures, providing guidance for those new to lab settings so that they may complete the procedures. ... 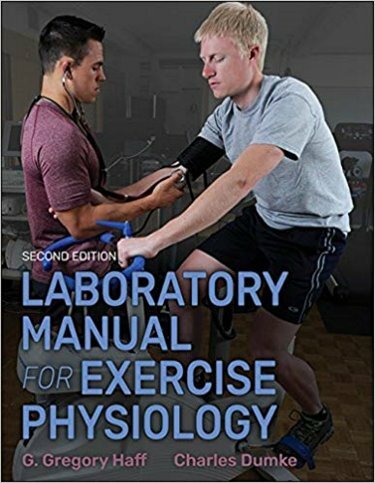 Laboratory Manual for Exercise Physiology, Second Edition With Web Study Guide, exposes students to a broad expanse of tests that are typically performed in an exercise physiology lab and that can be applied to a variety of professional settings. As such, the text serves as a high-quality resource for basic laboratory testing procedures used in assessing human performance, health, and wellness.